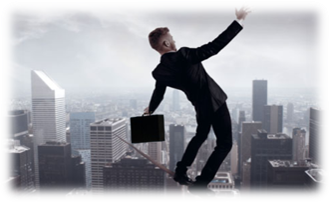 Risk is defined in AS NZS ISO 31000 as ‘the effect of uncertainty on objectives’. Hence the starting point for understanding behavioural risk is to clearly identify the objectives of the leadership team. This is not always as easy as it sounds, since leadership teams have a habit of subsuming the organisational objectives as their team objectives. Risk is assessed against those objectives, using the organisation’s risk management system, and evaluating in accordance with ISO 31000. Risk analysis begins with developing the preferred behavioural profile for the team. Comparison of the actual team profile with the preferred profile then enables a clear identification of potential risk scenarios. When combined with observations using the same framework, the gaps reveal the actual risk profile for the team. The analysis includes probable heuristics and cognitive biases relevant to the team. Work with the client and the leadership team ensures that the analysis is rooted in practical reality and experience, the risk profile is clear, the analysis is transparent and auditable, the team agrees with the analysis, and the mitigating strategies are understood and owned by the team. 6. facilitates risk assessment using the international risk standard ISO 31000. The Institute of Collaborative Management has a proven system based on the Management Drives Australia methodology that meets all the above criteria.